Lynne Roberts is in the process of doing to Utah what Scott did for Oregon St. You are not going to lure Scott Rueck he is building program at Oregon St. You have to get coach's before they reach the level of Scott. He has no reason to leave Oregon St. If Holly goes, administration is probably not going to pay any more than Holly's salary. A younger established head coach would be a good choice. I would try and keep Reeves for recruiting. If holly stays try and lure the ex Vandy coach for offense like South Carolina did. LOL! You are, of course, probably right. Sometimes I let my romantic spirit get the best of me. There’s 2 programs with name recognition in WCBB: Lady Vols & UCONN. Playing at TBA is the best stage to showcase your talent. UT recruits itself so any coach who replaces Holly has the opportunity to build a DYNASTY. That will never happen at Utah State Lol. Sorry, i was writing pretty quickly, but maybe that was my subconscious saying maybe Holly is removing a T from that floor already considering she is tearing down everything that Pat built! We can start with not being able to defend our own floor against some weak competition as well as in the NCAA tourney last year! I would take the former LV who coaches like PS and it is not NC but Kelly Jolly. She would come back home and not have to throw the bank at her. LV name will make up any recruiting let down she may have which I do not think she will have. JMHO but if I was Phil I would at least give her a call if and when he actually does call someone. Unless the stars align correctly, the next LV coach is not going to be the second coming of Pat. I just hope to God it is a Rick Barnes level improvement. Alabama never thought anybody would be better than "Bear". Saban has proven that a great coach at the right place that has traditions to help push greatness. It can be done. Why are some of wanting Melanie Balcomb? I just don't get it. If that is the best we can do, I would rather hang with Holly. I could not stand that woman when she was at Vandy. I would rather give Kelly Jolly a chance. I saw the Bryant/Saban thing mentioned in a post above and it caused me to respond. Pretty much in all of sports when you have an iconic type coach who wins and embodies a program like few have done before them it is rare that the person who immediately follows the icon even comes close to doing as well. See what happened immediately following Bryant before they got back to Stallings for example. Just check out what happened after he left. Know who the guy was following Knute Rockne at Notre Dame? Closer to home who was the coach immediately following The General at Tennessee? I'll help, it was Bowden Wyatt. Most don't recall his years on The Hill. Go to school after school after school and rarely, there are exceptions like Miami that had a string of exceptionally successful coaches back to back to back there starting with Norm Schnellenberger, but it's rare. We lost an icon with Pat Summit period. 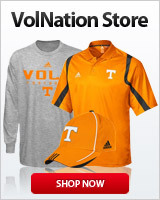 Often administrations look within the existing staffs once the icon is no longer there which is what happened to the Lady Vols. Holly has been given way past a fair amount of time to prove she could pick up where Pat left off. She has not and is not capable of coming close to meeting expectations of what the Lady Vols are supposed to be about which is winning at the highest levels. If Holly cannot do the right thing for the program and resign, Fulmer should fire her at th last game this year and get us a winning coach again. If Holly goes, administration is probably not going to pay any more than Holly's salary. The sad thing is we could get plenty of coaches for less money and they would win more games than holly. Realistaclly, we could not lure away a big name coach with an established program like Jeff Waltz, for example. I think we are stuck with Holly for another year no matter what happens the rest of the season. Yeah, and I guess it's possible to draw to an inside straight, but I'm not going to bet my shirt on it. Ask U.C.L.A. They're still waiting for the next John Wooden. Coach, do we need to put you in direct contact with someone within AD or do you have your own contact there? My reason for asking is how you often talk about "being there tomorrow." I have no contact in that office. And I live 30 minutes from UT. Thus, getting there any "tomorrow" = NP. Once in the gym, this keyboard disappears and I focus on what I do best,,..,,teach and per'fect fundamental and advanced skills; Push the proficiency with new shooting and driving drills; and ; Pushing the right buttons and finding the motivation of these kids and challenge them to reach those heights. I tend to not worry about when or how often someone posts. I listen /read more than anything else and from reading since 2017, realized you seriously may need someone to put you in contact with that office. I guess you don't..... trying to help. I appreciate the thought and gesture. If there is someone you know, I would always value a "door opened". choconut,,,I never know who is real and who is toting a rod, reel and carrot...so I apologize if I came across crass. If legit, I promise you this....I get an opportunity, I will win them over. "You don't something until, you can do it right,,,You do it until, you can't do it wrong"
Those deep pocketed boosters have no interest in women's basketball. You are being very special here, Ed if you think any dough is gonna be ponied up. If it was ever gonna happen, it already would have happened.